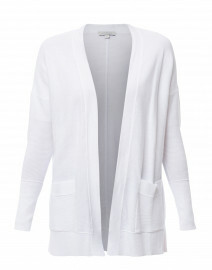 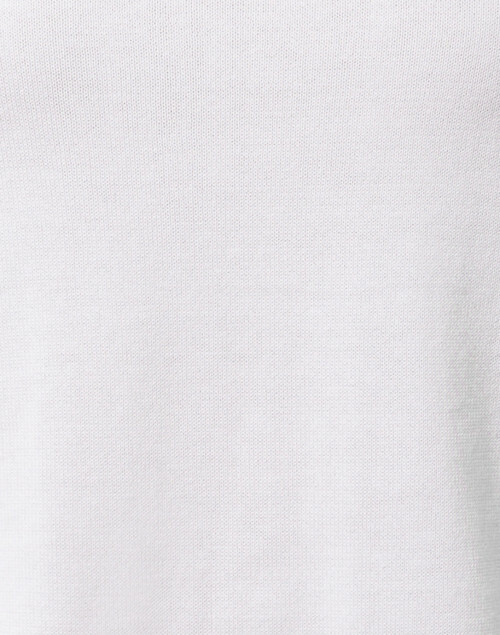 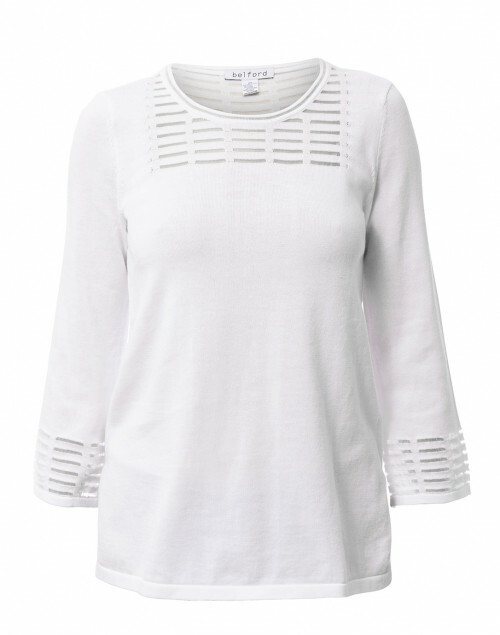 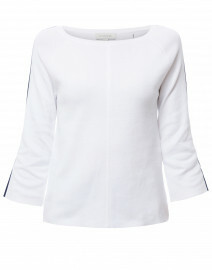 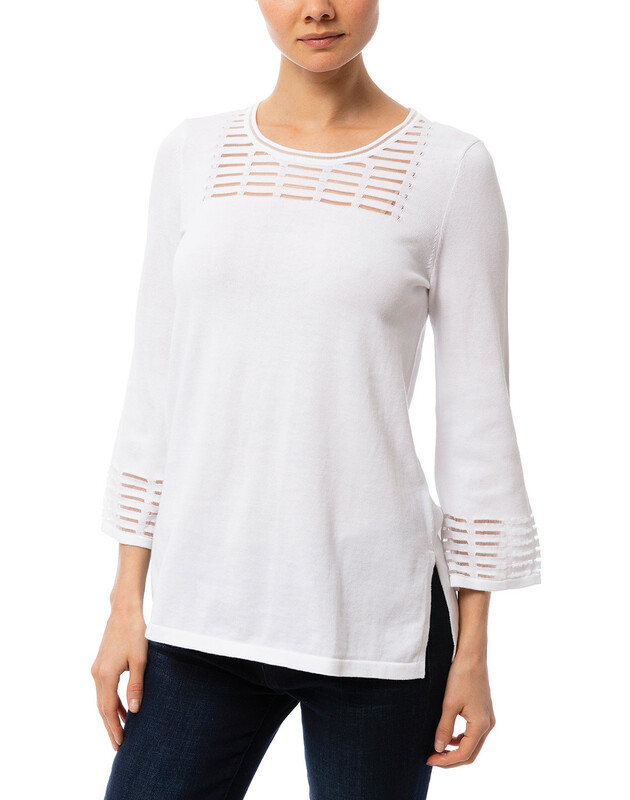 Belford's optic white sheer stitch yoke sweater is perfect for a casual springtime outing. 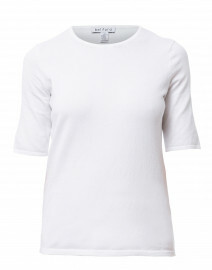 Made from lightweight cotton, nylon, and spandex blend, it is shaped with 3/4 sleeves, round neckline and side slits. 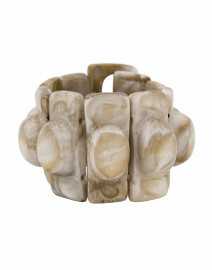 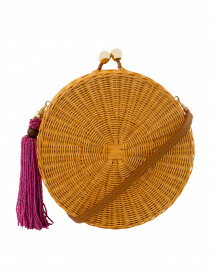 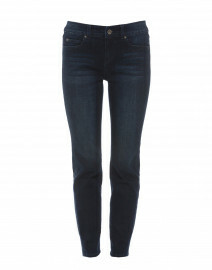 Pair with classic black pants and a round cross-body purse for a sophisticated look.